A unity of local Green Party chapters, the CTGP is committed to grassroots democracy, social justice, non-violence and ecological wisdom. These are the Four Pillars of all Green parties worldwide and are the first four principles of the Ten Key Values of the Green Party. Join us as we build a grassroots effort to take back our government from corporate power brokers. We do not accept contributions from corporate PACs so we need your donations of time and money. 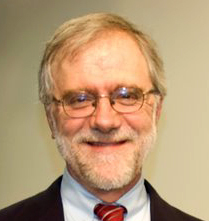 Howie Hawkins of the NY State Green Party will speak on the topic of "How to Run on the Green New Deal in 2020." Hawkins is a former Green candidate for New York Governor and for US Senate and is seeking the Green nomination for President. Voluntary donations encouraged. Green Party merchandise for sale. Annual meeting and election of officers for the Green Party of CT (see candidate statements). Casting and counting of ballots by Ranked Choice Voting /Single Transferable Vote. A. The Green Party of Connecticut (GPCT) shall be comprised of individual members, Regional Chapters (Chapters), Town Committees, a State Central Committee (SCC), an Executive Committee (EC), and any subcommittees the SCC may establish. B. Chapters and Town Committees shall be responsible for defining the membership of their individual bodies in their organization’s bylaws. C. Individuals residing outside an area covered by a Chapter or a Town Committee shall be known as party members “at-large”. D. Party members shall, upon request, receive notice of SCC meetings. recommending to the SCC any non-routine action that the SCC should consider executing. 2. Each member of the EC shall be assigned by the SCC to serve as the chief organizer of a different Federal Congressional district, and in that role shall serve as the point-person for all questions about the establishment of new chapters or town committees in that area, and shall otherwise help to facilitate organizing activities in that region. Contact information for each regional organizer shall be posted publicly on GPCT media platforms. B. The SCC shall serve as the GPCT’s chief organizing body for state-wide and federal candidate, political, and party-building campaigns. 1. Voting members of the SCC shall include Party Officers and Local Representatives (hereafter referred to as “Representatives”). 2. Each officially recognized Chapter and Town Committee shall have the right to send one Representative, with voting rights, to each meeting of the State Central Committee. a) Once more than two-thirds of all municipalities in Connecticut have established a Green Town Committee, recognized by both the State of Connecticut and the GPCT, the SCC shall constitute a Bylaws Revision Committee to create a new set of rules to apportion the number of votes each Town Committee shall be granted. New vote apportionment shall take into consideration both the number of active Greens in each municipality and the level of electoral success realized by each Town Committee. The adopted rules must require that votes are reapportioned no less frequently than every five years. b) Once the EC has decided upon a date to hold an SCC meeting, the chair or co-chairs of each Chapter or Town Committee shall be given the agenda of that meeting. This must be done at least one week prior to an SCC meeting being held. c) Each Chapter or Town Committee shall be responsible for designating their own Representative to attend each SCC meeting. In the event that no Representative has been selected by a Chapter or Town Committee, by default the title shall be granted to the chair of the given Chapter or Town Committee. In the event that there is a dispute over who shall serve as the Local Representative for a Chapter or Town Committee at a given SCC meeting, the minutes submitted from that entity shall be referenced for clarification. In the event that minutes to not help to clarify the situation, the Chair of the SCC shall be empowered to decide the matter. g) endorsing candidates in state-wide races and in races where a Chapter or Town Committee does not have jurisdiction. d) Take or direct action required for the execution of the GPCT’s basic plans for organization, programs, financing, and strategy. 5. So far as possible, the SCC shall delegate matters to appropriate subcommittees for debate, discussion, and proposal-writing. a) To create a subcommittee, a charge must be authored, which shall outline the scope and abilities of the proposed subcommittee. b) Unless otherwise noted in the charge of the subcommittee, all subcommittee decisions must be approved by the SCC before they may be enacted or otherwise take effect as official policy. 6. The SCC shall maintain minutes of all its meetings, which shall include a summary of discussion occurring on agenda items, recorded vote totals, and a rationale for decisions made. Party Officials or Local Representatives may author and submit a minority opinion to the SCC Secretary for inclusion in the record. The SCC shall generally conform with best practices as they are presented by the Freedom of Information Act. 7. Attendance by at least ⅔ of all Local Representatives and one Chair or Co-Chair shall be required for formal consideration of any business at a meeting, and a majority vote of the Representatives present shall be required for the adoption of any proposal. C. The chair of an SCC subcommittee shall be responsible for presiding over their respective subcommittee(s), authoring meeting minutes for each meeting of the subcommittee, posting a notice of any subcommittee meeting publicly at least 24 hours in advance, and submitting regular reports to the SCC on items that have been referred to that subcommittee. 1. Subcommittee chairs shall be elected by the appointed members of that committee no less than annually, at the discretion of a majority of subcommittee members. 2. Subcommittee chairs shall, at the end of each term, be responsible for authoring a report on all actions taken by their body and for submitting that report both to the newly-elected chair of that subcommittee and to the Secretary of the GPCT for record-keeping purposes. D. The powers not delegated to the Executive Committee or the State Central Committee by these bylaws, nor prohibited by it to the Chapters and Town Committees, are reserved to the Chapters and Town Committees respectively. A. Each year, in the Month of May, the SCC shall hold their Annual Meeting. responsible for presiding over meetings of the SCC and the Executive Committee. In the event that the Chair is absent from an SCC meeting, the two Co-Chairs shall be responsible for presiding over the meeting. 2. Two Party Co-Chairs, one of whom shall be generally responsible for the management of the party’s outward-facing media platforms, and the other of whom shall be generally responsible for fundraising functions of the Party. The Co-Chair responsible for fundraising functions shall also serve as the Deputy Treasurer of the SCC. 3. Treasurer, who shall be responsible for collecting and reporting the collection of all party income, managing and maintaining the state party’s bank account, promptly making payments for all duly authorized obligations, establishing procedures for the approval of expenditures, maintaining financial records in accordance with sound accounting practices, and publish monthly statements of initial and final assets, income, and expenditures. 4. Secretary, who shall be responsible for recording minutes of all SCC meetings and Executive Committee meetings, posting those minutes in a publicly accessible manner, establishing and maintaining a record of all members of the GPCT, and maintaining a record of all correspondence and information transmitted, through any printed or electronic medium, received by or sent from the GPCT. 5. Representatives, of a number to be determined by the Green Party of the United States, to the GPUS National Committee, who shall be responsible for both voting on proposals set before the National Committee and communicating information about the National Committee’s actions to the SCC. C. Terms shall be two years in length, and no individual shall serve as the party Chair for more than two consecutive terms. Nothing in this document shall be construed to allow for an individual to serve in that role beyond a cumulative total of four consecutive years. D. The Single Transferable Vote style of ranked-choice voting shall be used to elect the officers, and all Representatives shall have the right to cast one ballot in each election. E. An individual may run for both Chair and Co-Chair in the same election. In the event that an individual wins the election for Chair and is also a candidate for Co-Chair, that candidate’s votes shall automatically be redistributed in the race for Co-Chair. F. “None of the Above” shall be listed as the final, rankable option on any ballot issued by the GPCT, and any candidate receiving fewer votes than that option shall not be elected to office. G. In the event that no candidate is elected to a given office at the Annual Meeting, the SCC shall call for new candidates and shall hold another election at the next subsequent SCC meeting. 1. Local Representatives shall vote by Ranked-Choice Ballot. 2. No candidate that received fewer votes than “None of the Above” at the Annual Meeting shall be allowed to put their name forward as a candidate in subsequent elections held for Party Official positions in that calendar year. 3. This process shall be repeated until one individual wins the given position. H. The Chair and the Treasurer shall be given a key to access any PO Box or office space held in the GPCT’s name, and all members of the Executive Committee shall be given access to email addresses and other social media accounts held in the GPCT’s name. I. In the event that a Party Officer resigns or otherwise vacates their position midterm, the Local Representatives shall vote to fill the vacancy for the remainder of the term at the next SCC meeting held at least 30 days following the resignation. A. Green Town Committees and Chapters registered with the Green Party of Connecticut shall have the right to set their own rules surrounding membership to their organization. same town are actively involved with party activities and organizing. d) thorough minutes from three meetings held over the course of no more than six month, at which meetings a minimum of five party members residing in the municipality were present for the entirety of the meeting. C. Chapters may be formed when five or more party members residing in a region larger than one town are actively involved with party activities and organizing. c) thorough minutes from meetings spanning the course of three consecutive months, at which meetings a minimum of five party members residing in the specified region were present for the entirety of the meeting; and d) evidence that they have created and successfully registered an ongoing Political Action Committee with the State Elections Enforcement Commission for the purposes of legally collecting and spending money on behalf of the Chapter. 2. The geographic area covered by the Chapter, also known as the Chapter’s jurisdiction, must be specified in the Chapter’s bylaws. a) Chapter jurisdiction must be contiguous geographically at the time of that Chapter’s founding, and span two or more towns, none of which may already have a registered Town Committee. b) Chapters may not claim jurisdiction over a municipality from which they have no active and involved members, and Chapters are responsible for providing evidence of involvement from members in each town over which it claims jurisdiction. c) In the event that no party members from a given town attend Chapter meetings for a total of six consecutive months, that Chapter shall cease to hold jurisdiction over that town. d) In the event that there is a dispute between individuals residing in a given town over which Chapter it should belong to, the SCC shall facilitate a ranked-choice vote among active registered Greens in that town. (1) The Chapter receiving the support of a majority of participants in the vote shall be granted jurisdiction over the town in question. (2) All registered Greens in the jurisdiction must receive written notification of the vote and be given a fair opportunity to participate either by mail or in-person. (3) The cost to facilitate the vote shall be evenly paid by the Chapters involved in the dispute. (4) In the event of a tie, a majority vote of the SCC shall serve as the tie-breaker. D. Chapter Bylaws must include a clause allowing for municipalities to secede from the Chapter when the members of that area elect to create a Town Committee. 1. In the event that a Town Committee is created within the jurisdiction of a Chapter, the Chapter shall immediately cease to hold jurisdiction over the municipality that has created the Town Committee. 2. In the event there is ever a dispute between a Town Committee and a Chapter’s ultimate authority over a given area, the Town Committee shall hold precedence. E. To maintain their status as an official affiliate of the GPCT, Chapters and Town Committees shall successfully hold monthly or bimonthly meetings and submit all meeting minutes produced by that body to the Secretary of the SCC no less than semi-annually. 1. In the event that a Chapter or Town Committee no longer has five members able to regularly attend meetings, those remaining in the Chapter or Town Committee shall have six months to recruit new individuals. body shall be considered dissolved by the SCC. F. Nothing stated within these bylaws shall be construed to disallow any number of Town Committees or Chapters from working together to coordinate regional political, party-building, or candidate campaigns, granted that no individual may have representation on the SCC by more than one Town Committee or Chapter. G. Chapters and Town Committees shall each be responsible for contributing a minimum of $100.00 in dues to the State Party each fiscal year. 1. The $100.00 shall be in 2018 dollars, and the amount to be collected from each Chapter or Town Committee in dues shall be tied to inflation as reported by the United States Bureau of Labor Statistics. 2. After one year of delinquency in their payment, Chapters and Town Committees shall be given a written warning of the penalties they face in the event of further delinquency. 3. After two years of delinquency in their payment, candidates running for office within the jurisdiction of the given Chapter or Town Committee shall not be eligible to receive funding from the State Central Committee. 4. After three years of delinquency, the Chapter or Town Committee in question shall be considered defunct and no longer an official body of the GPCT. 5. This amount shall be due to the Treasurer of the SCC at the Annual Meeting each year. A. Any individual seeking the Green Party of Connecticut’s endorsement for public office must sign a statement affirming their commitment to the Ten Key Values of the Green Party of the United States. B. The SCC shall be the ultimate endorsing authority for all state-wide races and races in which no Chapter or Town Committee has jurisdiction, and shall be responsible for the recruitment of qualified and professional candidates to run for each such position. 1. Notice of a nominating convention must be presented by the Executive Committee to each Chapter and Town Committee no less than two weeks prior to its start. 2. All persons wishing to run for state-wide office shall submit an application; which shall include their name, a cover letter, and a resume; to the Executive Committee no less than one week before the start of the nominating convention at which they wish to be endorsed, and the submitted items shall be distributed to the various Chapters and Town Committees for consideration. 3. Candidates being considered for endorsement by the SCC without competition must be selected with two-thirds majority support. In the event that two or more candidates are each seeking endorsement for the same position, the Single Transferable Vote ranked-choice voting method will be used, and the winner will be endorsed for the position. 4. In the event that no member of the GPCT running for a public office under the jurisdiction of the SCC, including but not limited to state-wide offices, secures the party’s endorsement in the first round of voting, the SCC may consider applications submitted by individuals who are not members of the GPCT or its subsidiary organizations. C. Individual Town Committees and Chapters shall be the ultimate endorsing authority for municipal or state-level races that fall squarely within their jurisdiction. D. Town Committees and Chapters may, with consent from each group affected, vote to endorse candidates in all State Legislature and U.S. House of Representatives races that partially fall into each group’s jurisdiction, and those entities shall collectively be the ultimate endorsing authority for all such races. A. The SCC shall be responsible for creating, abiding by, and enforcing a Code of Ethics, which shall be followed by all members of the GPCT. B. Failure to adhere to the Code of Ethics at a meeting of the SCC shall require the Chair or the Party Official currently presiding to issue a verbal warning for the first offense, dismiss the member from the meeting with a written warning on the second offense, and dismiss the member in question from the next twelve meetings upon the third offense. C. Decisions of the Chair may be overturned by a two-thirds vote of the SCC, or a majority vote of the SCC may defer enforcement of the Code of Ethics to an Ad Hoc ethics committee, which shall be reconstituted upon each instance in which the SCC defers enforcement of the Code of Ethics. A. Any Chapter or Town Committee may propose to the State Central Committee amendments or changes to the Green Party of Connecticut’s Bylaws. 1. The SCC shall refer the proposal to all active Chapters and Town Committees for review and recommendations. 2. Each Chapter and Town Committee shall vote to recommend rejection or approval of the proposal. Chapters and Town Committees shall submit their recommendation to the SCC within 60 days of the SCC referring the proposal to its subsidiary bodies. 3. If two-thirds of the Chapters and Town Committees recommend approval, the State Central Committee shall enact the proposed change. In the event that two-thirds of the Chapters and Town Committees do not recommend approval, the proposal shall not be adopted. 4. Chapters and Town Committees failing to submit their recommendation within the 60 day window shall be counted as an abstaining vote. B. In the event that a clause in Article III, “Party Officers & Elections,” is successfully amended at a meeting of the SCC, the SCC shall hold a new election for Executive Committee positions at the next SCC meeting following the adoption of said amendments to Article III. Individuals elected mid-term shall only serve until the next Annual Meeting in an odd-numbered year. The new elections shall be held in accordance with the newly updated bylaws. C. All amendments adopted at a meeting of the SCC shall be enforced beginning at the start of the next SCC meeting following the adoption of said amendments. There is no Green ballot line for Governor.